Telugu dying a slow death among youth -Is the Telugu language getting extinct day by day? Telugu dying a slow death among youth-Is the Telugu language getting extinct day by day? There may be other reasons also … but I found these reasons most prominent. Here we are providing a pdf which contains many vocabulary terms which the new generation is not coming across the terms in their day to day life even few parents are unfamiliar to them. 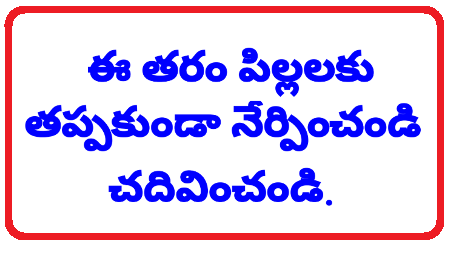 So, it is the parents responsibility to make their children to read and learn that Telugu vocabulary. Let's see what are the characteristics shown before the language gets extinct. Are there any art forms based out of that specific culture/language. Are new words being created/coined. Surprisingly, Telugu is falling behind in all the aspects. It is assumed that more than a third of the literatures doesn’t know how to read/write their mother tongue, Telugu. Tamil Nadu had lot of Telugu population, Now it is dwindling as they are moving away from Telugu. It is indeed a reality and the onus is on us to keep up the pride. As I once mentioned else where , the answer lies with us - whether we want to continue our legacy and keep our culture for decades. Because, if a Language extincts - the culture that associates to it dies. I am sure, our small steps would ensure - Telugu flies high till eternity.